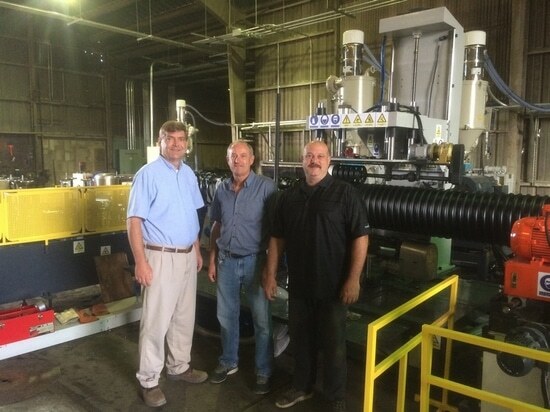 Goldstone-Orient New Material Equipment Inc. has published the innovated steel reinforced corrugated pipe technology. 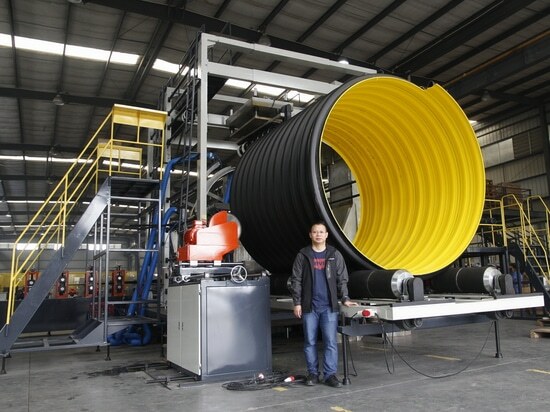 With the steel rib reinforcement, the large diameter spiral pipe can achieve the outstanding ring stiffness, in the mean time can save more than 30-40% material cost. Specifications: 1. 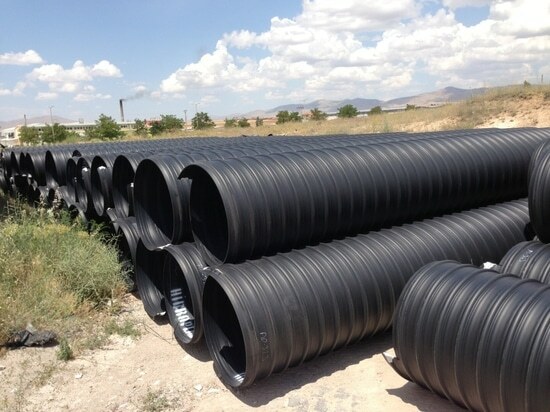 Pipe Diameter: Dn300, 400, 500, 600, 800, 1000 Dn1200, 1400, 1500, 1600, 1800 Dn 1800, 2000, 2200, 2400, 2500 Dn 2500, 2600, 2800, 3000 2. 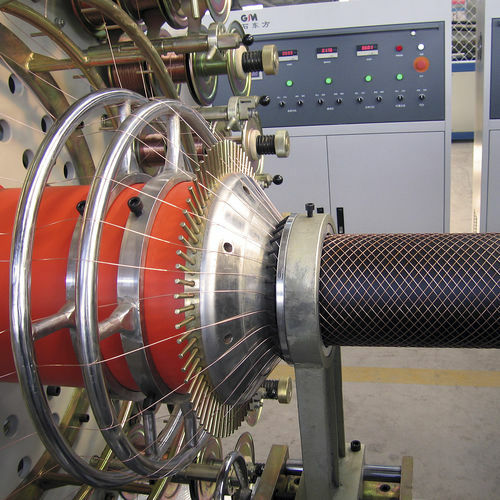 Pipe ring stiffness: SN8, SN12.5, SN16 (ISO 9969) 3. 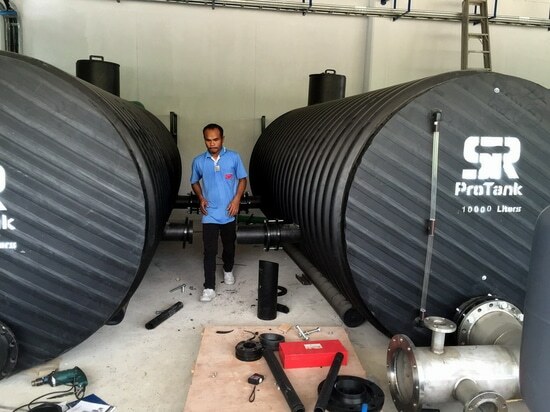 Pipe standards: ASTM F 2435-15, CSA B182.14-15 4. Pipe length: 6m, 9m, 12m 5. Production speed: Max. 18m/hour Advantages: 1. Very high pipe stiffness with steel reinforcement 2. 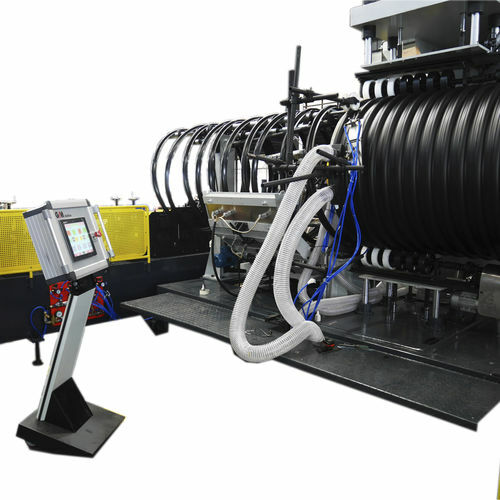 Pipe weight is 30-50% lighter than plastic pipe without steel reinforcement. 3. 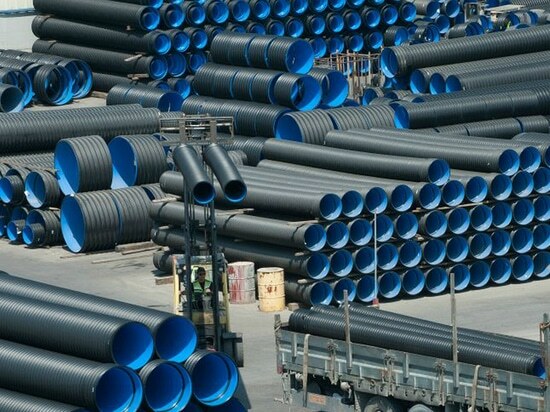 Pipe material cost is 30% less than plastic structure pipe 4. Installation by electric fusion connection and welding 5. 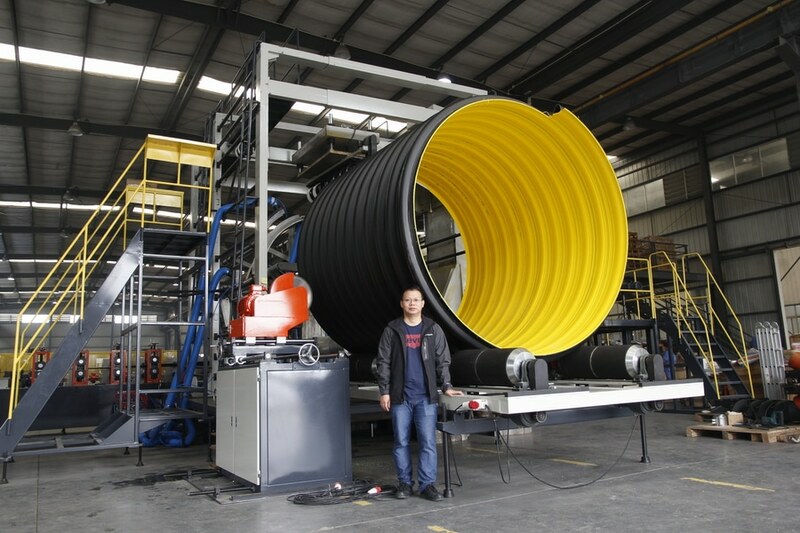 Flexible pipe can against soil deformation Applications: 1. Drainage & Sewage 2. Storm-water 3. Waste water 4. Water tunnel 5. Irrigation 6. Conduit The new ASTM F 2435-15 standard was implemented for this kind of composite corrugated pipe. 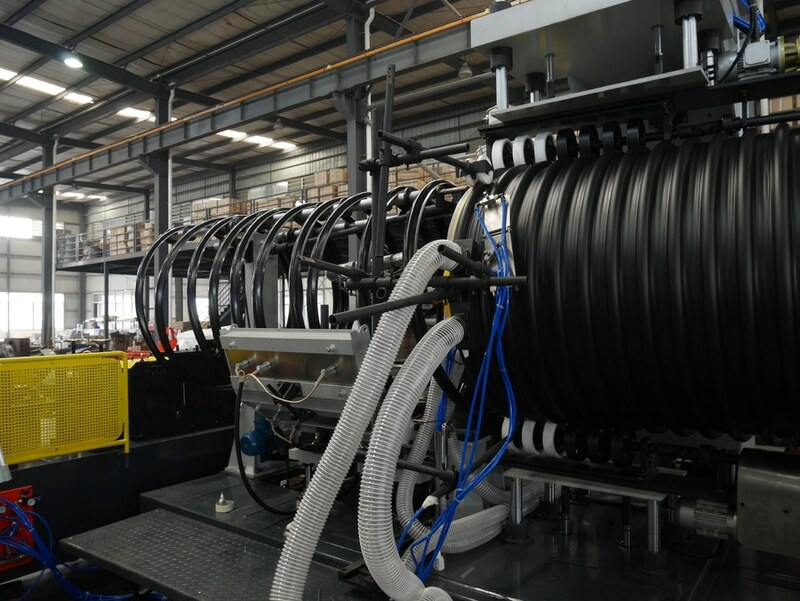 More than 500 sets of extrusion line was sold to China market. And there are many projects have completed in China, Japan, US, Europe and Turkey, Russia, Thailand.